The best travel jobs allow you to earn income while exploring the world. 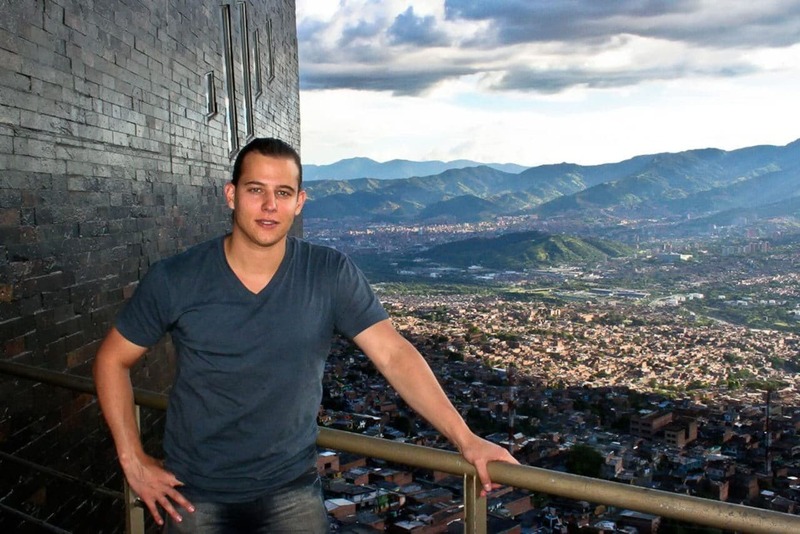 Here are real-life examples of people living the dream – making money traveling abroad. Learn how to land one of these awesome careers! Not ready to travel just yet? Make sure to read my other post about creative side-hustles to make extra money from home. Do you wish you could travel more? If you love traveling as much as I do, but can’t afford to completely quit working, you’re in luck. There are actually many different travel job opportunities to make money traveling the world. Whether it’s seeking opportunities to trade work for accommodation, landing a location independent job that gives you the freedom to travel abroad, or long-term traveling careers — you have options. There are even travel jobs out there for people without a college degree. 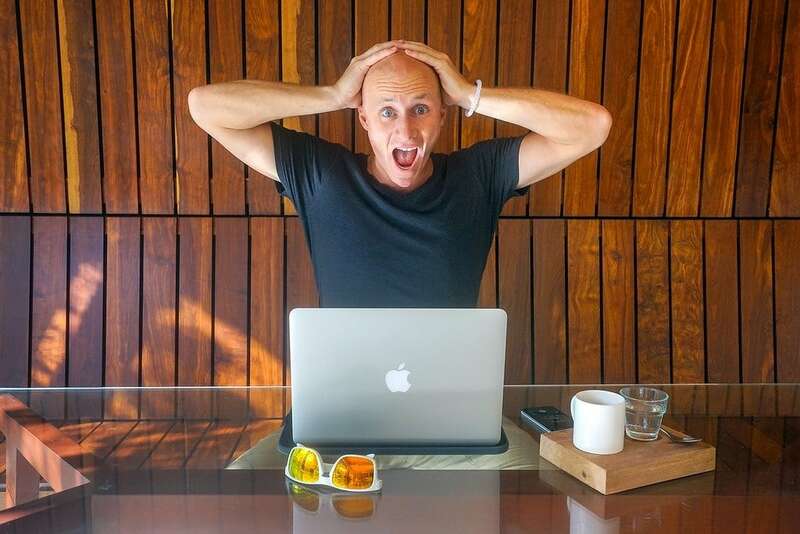 The reason I’ve been able to travel the world for the past 9 years is that I’ve slowly turned my travel blog into a very successful business that earns 6-figures a year. However that’s certainly not the only path to freedom and long-term travel. 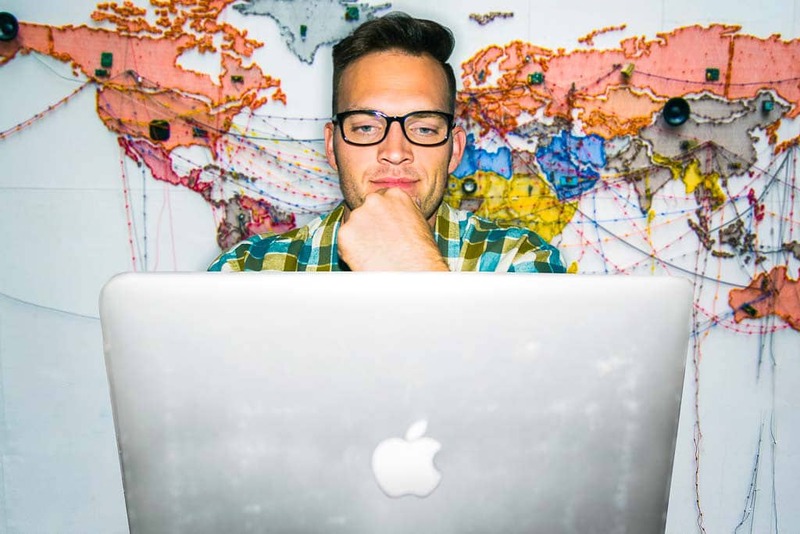 Expat, Digital Nomad, or Backpacker? Ready To Start Working While Traveling? First a little disclaimer. If all travel-friendly jobs were easy to get, everyone would have one! Many of these professions require passion, specialized training, time commitment, and talent. For those that don’t, the pay isn’t always great. There is no magic way to instantly earn lots of money traveling. The truth about becoming a location independent nomad is that it takes years of hard work and sacrifice behind the scenes — something too many people conveniently ignore. That said, it’s not impossible to work and travel either. The people I interviewed for this article below have invested their time to learn how to make these jobs work for them — which means you can do the same if you make it a priority. We all have the same 24 hours, how will you spend yours? Not all “travel” jobs are created equally. 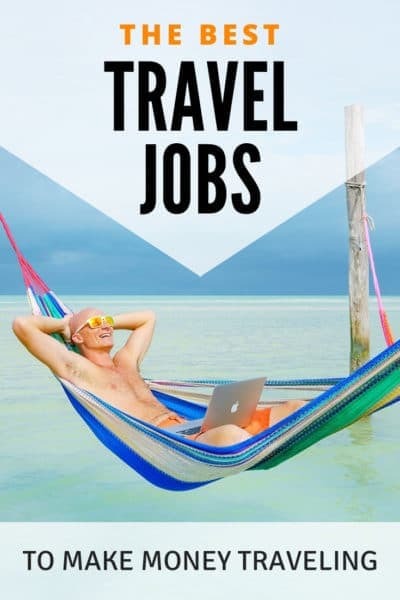 The wanderlust opportunities listed here fall under one of the following categories — expat jobs, digital nomad jobs, travel industry careers, or what I’ll call backpacking jobs. What’s the difference you ask? Expat stands for “expatriate”. Meaning while you are a citizen of one country, you choose to live/work in a foreign country. Expat jobs are only related to travel in that you’re working in a different country from your own. 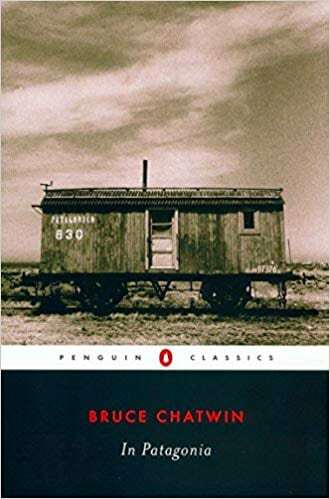 You may live in that country for months or years at a time, so you aren’t exactly nomadic. Examples: English teacher, nanny, foreign service, etc. A Digital Nomad works from their computer. This makes them location independent. As long as they have access to the internet, they can earn a living. Blogging falls under this category, so it also describes my lifestyle. Digital nomads are free to travel at will, working from coffee shops, hotels, or coworking spaces. Examples: Online business, freelance writing, social media, etc. 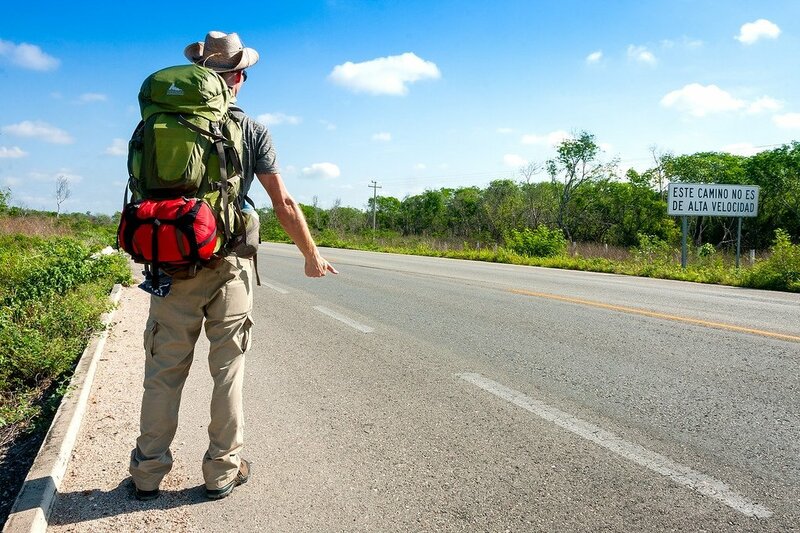 Backpackers and vagabonds do work that I’ll call “alternative” travel jobs. The type of work that may not require a computer or a college degree, but has a more hands-on approach. Think musicians, artists, or manual labor. Pay could be under the table. Examples: Street vendor, musician, farm work, etc. Finally, I’ll include a few popular travel industry career options too. These are more “traditional” business travel jobs in the hospitality and tourism industry. Positions like travel agents, local tourism boards, and travel marketing. Examples: Travel agent, tour guide, tourism marketing, etc. 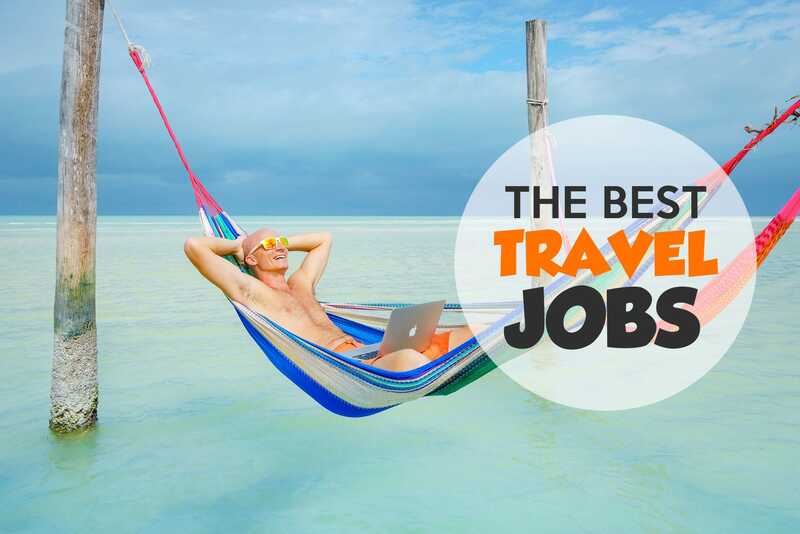 The following travel jobs encompass one or more of those categories. If you crave the safety of permanent work, but you also want to live in a different country, then working abroad in a regular full-time type position might be best. Keep in mind not all of these jobs are suitable for everyone. If you have a university degree, you might not be as willing to pick berries on a farm as someone else might be. Or maybe you are! I won’t judge. We all have different backgrounds, skills, and comfort levels. Working on My Travel Blog in Mexico! People who travel a lot while making money as a blogger is a dream job for many. But like most things in life, it’s hardly simple. 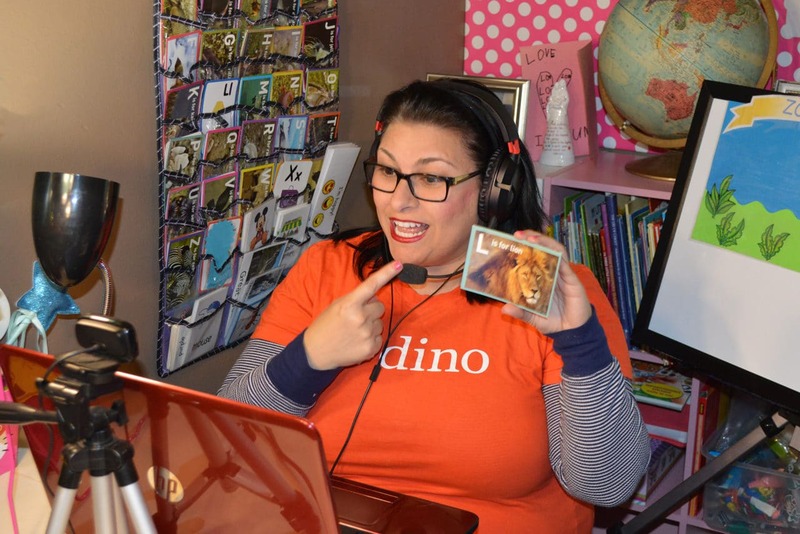 Earning a living with a travel blog is hard work — and can take a few years. However, a travel blog isn’t the only option. Other examples include food bloggers, mommy bloggers, fashion bloggers, and lifestyle bloggers. Income generally comes from advertising, affiliate marketing, selling products, influencer projects, etc. But first, you need to build an audience! Me! 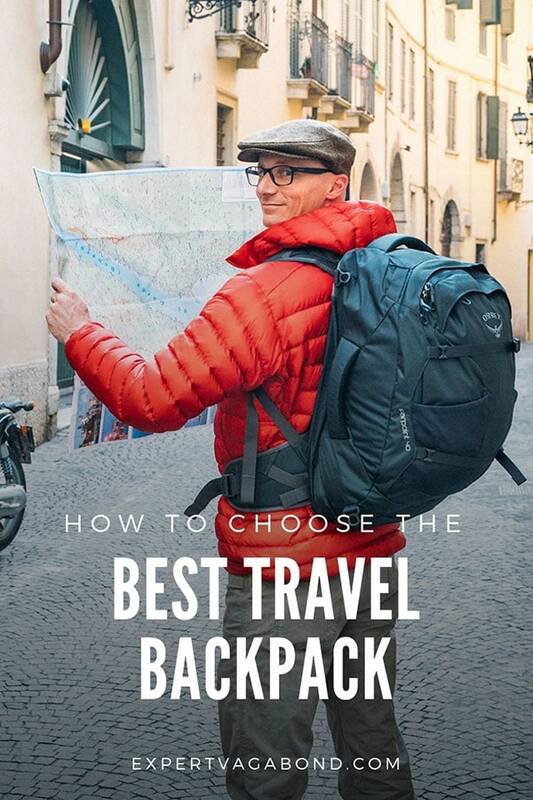 Check out my free guide on how to become a travel blogger. Do you know how to speak English? Perfect! English teachers are highly sought after around the world — and the pay can be decent. You can get jobs teaching overseas, or even teaching classes online from your computer. For the online jobs (basically teaching through Skype) a college degree is required, and for the foreign-based jobs, a TEFL certification (Teaching English as a Foreign Language) is also required (these jobs include accommodation too). 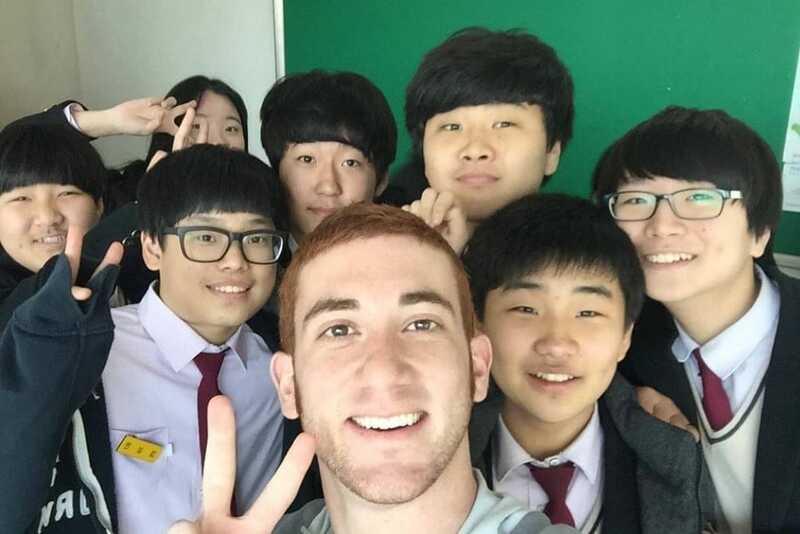 My buddy Drew made money traveling and teaching english in Korea. In addition to traveling overseas to teach English at a foreign school, there’s also a demand for online English teachers to tutor kids via video chat, like Skype. A bunch of online English teaching services have popped up over the last few years, mainly based in China. To apply for a position, you generally need a college degree, be a citizen of the United States or Canada, and speak fluent English. A TEFL certification helps too. Classes are about 30 minutes long. Can you imagine sailing around the world working on some rich guy’s private sailing yacht? This is an awesome job that requires travel! It’s a fun way to see some exotic locations. Your food and accommodation are covered too, which is great for saving money. 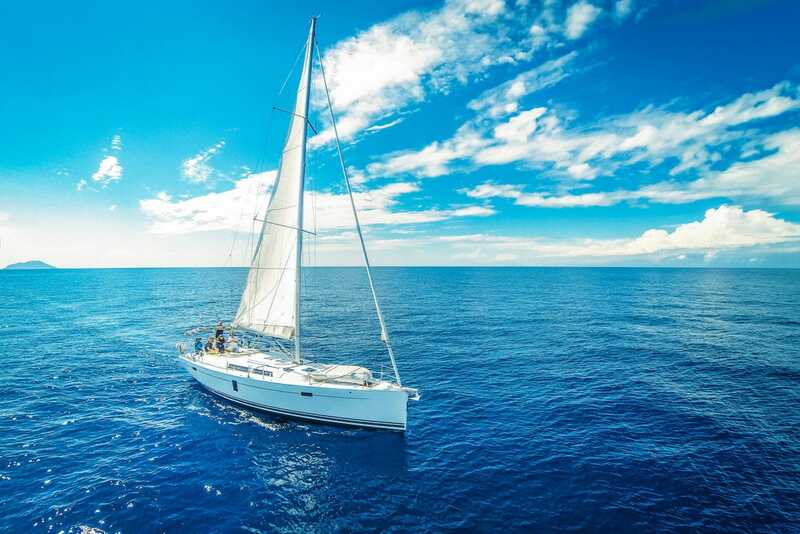 It’s ok if you’ve never worked on a yacht before because the job of deckhand or steward(ess) are entry-level positions that pay really well. All you need to do is take a short course beforehand and spend time in a beautiful yachting destination while looking for work. My friend Katie made money traveling & working on private yachts for almost a decade. Bars, nightclubs and restaurants are located worldwide and the job description is pretty much the same everywhere. It helps to speak the language, so you may need to invest in a few weeks of language classes. Touristy places will be easier to find work in this industry and there’s no minimum or maximum time requirement. 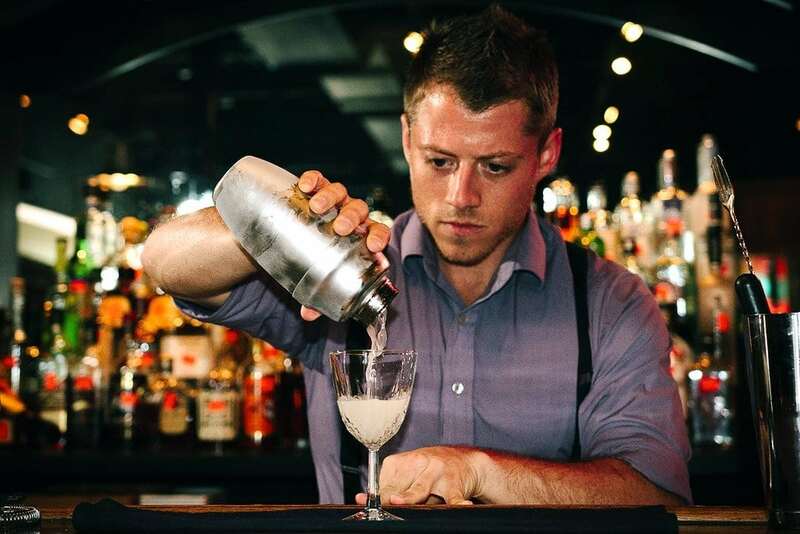 Plus the more experience you gain as a bartender, the more job opportunities will open up, with a potential for higher income. My buddy Jeremy traveled and worked as a bartender in Australia. 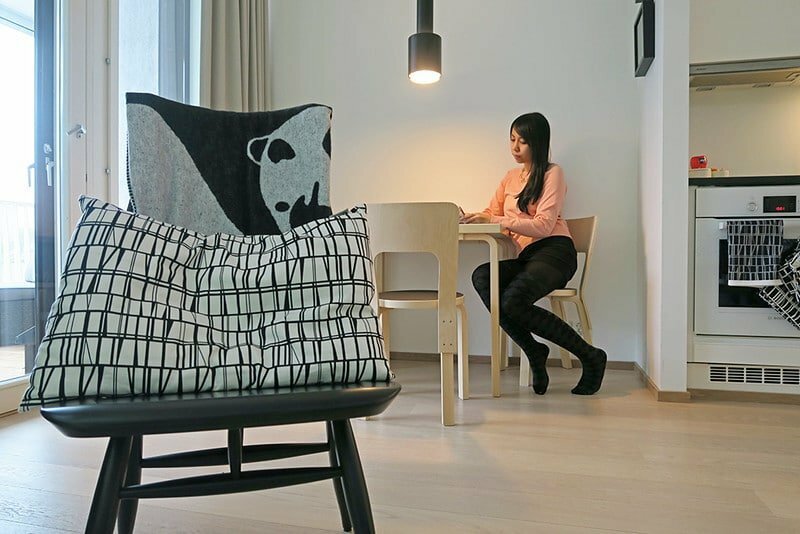 More and more businesses are discovering the benefits of hiring remote workers — allowing employees to work from home or anywhere with a wifi connection. Working online or telecommuting is becoming an option for professionals in a variety of industries. So you may not even need to learn new skills, depending on what your current profession is. But how do you find the companies that pay you to travel / companies who are hiring remote workers? There are some good remote work job boards that post these types of positions. Jobs like data collection, research, sales, administrative assistants, and more. You could consider working as a local tour guide or assistant for an international tour company, either at a single popular location or for multi-destination tours. Another option is to become a travel entrepreneur and create your very own custom tours! Maybe it’s the best un-marked surf spots, an awesome local hiking trip, or showing people the coolest bars and restaurants in town. Becoming a tour guide is a great way to earn money in the travel industry while sharing your love of traveling. My friend Lauren started a successful food tour business in Spain. Obviously, you need to know a second language to be a freelance language translator. But if that’s you, there are all kinds of companies out there who need translations done for websites, product manuals, books, and more. If you’re just starting out, you could even translate restaurant menus, help run bilingual tours for tourists who speak your language or translate websites and blog posts. The more fluent you are, the more money you can make. My friend Alexandra works as a freelance language translator from English to Spanish. Backpacker hostels frequently hire travelers to fill positions on a short-term basis in exchange for free room and board. There are many different types of jobs, from working at the front desk to housekeeping or bartending. If you plan to stay long-term, some hostels offer paid positions too. Actually, I once got paid to work at a backpacker hostel in Hawaii many years ago. It included a small salary and a free apartment to live in. 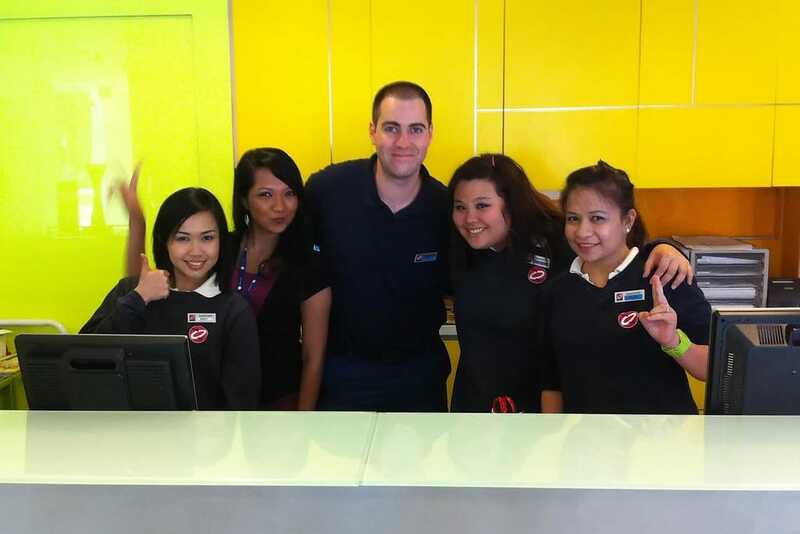 My buddy Dave worked the front desk at a backpacker hostel in Singapore. 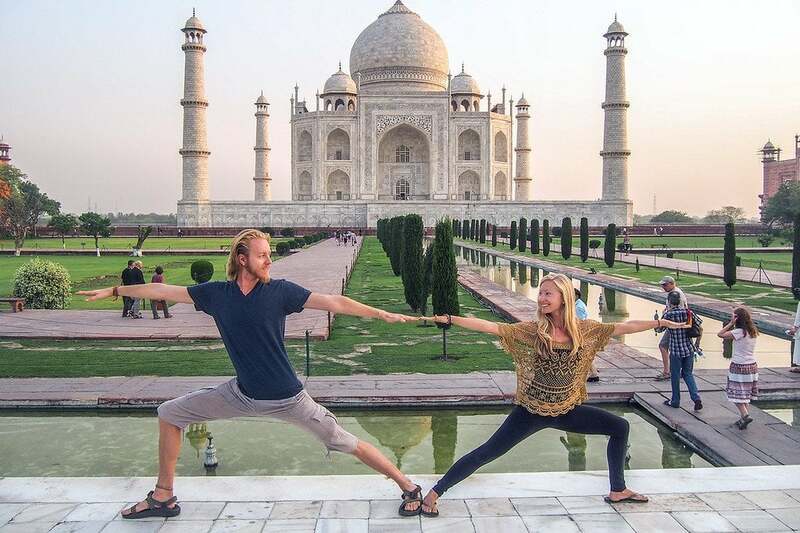 Another job that allows you to travel the world while making money is working as a freelance yoga instructor. You can teach classes on pilates, yoga, zumba, dance, or provide services as a personal trainer if you have enough experience. Some yoga instructors make deals with local gyms, backpacker hostels, or fancy all-inclusive resorts in order to use their facilities with clients during trips. You can also be hired as an in-house yoga instructor to lead classes for guests. It’s a cool career for travelers! 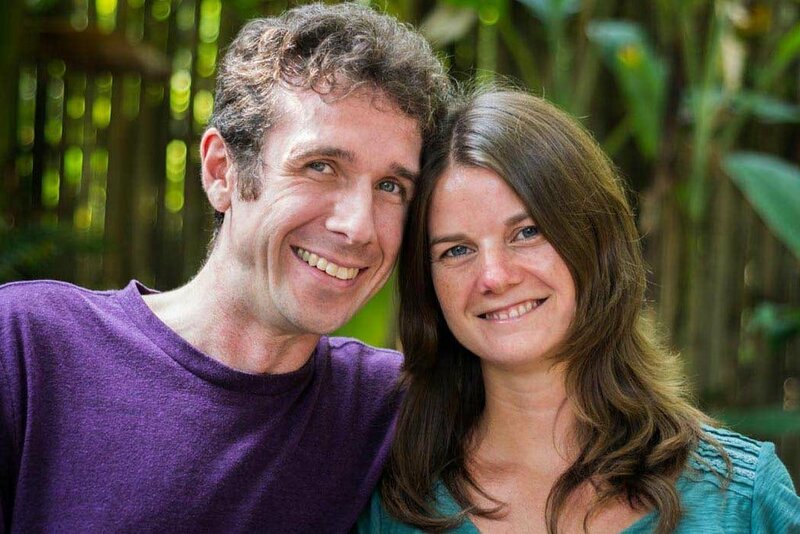 My friends Brandon & Anne make money teaching yoga while traveling. Writing about travel seems to be a dream job for many, however, it’s not something most people can just jump into. First, you have to be great with words. Next, you need to learn about networking, pitching to editors, and all the other business stuff involved. Once you have those down, then it’s possible to write for magazines, newspapers, websites, or travel guidebooks and travel the world. Freelance copywriting and other types of writing are also options. 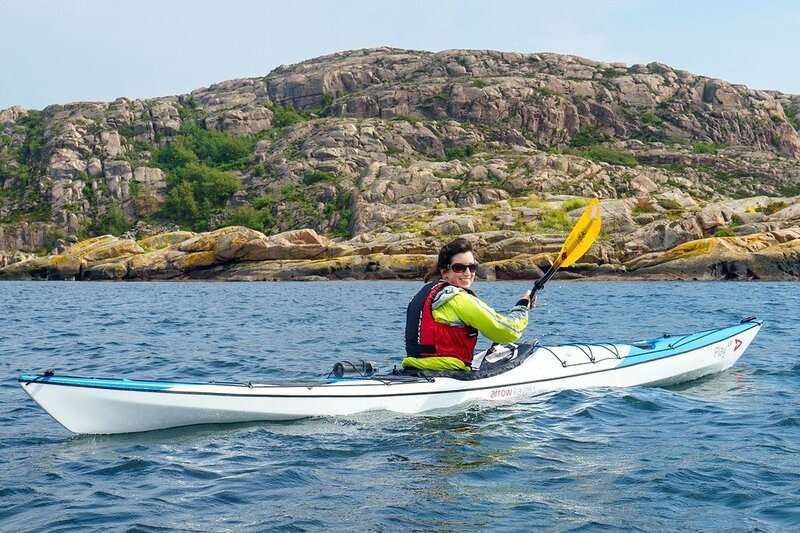 My friend Jodi earns income on the road as a travel & food writer. Massage therapy is in demand worldwide as an effective treatment for reducing stress, pain and muscle tension. Trained therapists can offer their skills to weary travelers or expatriates near popular tourist destinations. Work for a larger company or strike out on your own as an entrepreneur. Find clients by teaming up with hotels and giving them a cut for referring customers. Print flyers to hang up around gyms, coffee shops, etc. My friend Kach made money traveling working as a massage therapist. One of the most common travel careers for digital nomads is graphics or website design. All you need is your computer, an eye for design, and knowledge of certain software programs and online platforms. Things like Photoshop, Dreamweaver, WordPress, Illustrator, etc. Talent for writing code helps too — specifically HTML, PHP, and CSS. School is great, but it’s also possible to learn on your own with tutorials. Building websites for others can lead to new clients, no matter where you are in the world. My buddy Adam makes money traveling while designing websites. Traveling the world while working on large cruise ships is an awesome way to see some pretty exotic places. Food, accommodation, transportation, and insurance are covered too — so it’s a great way to save money. Many jobs also provide plenty of vacation time to travel on your own. 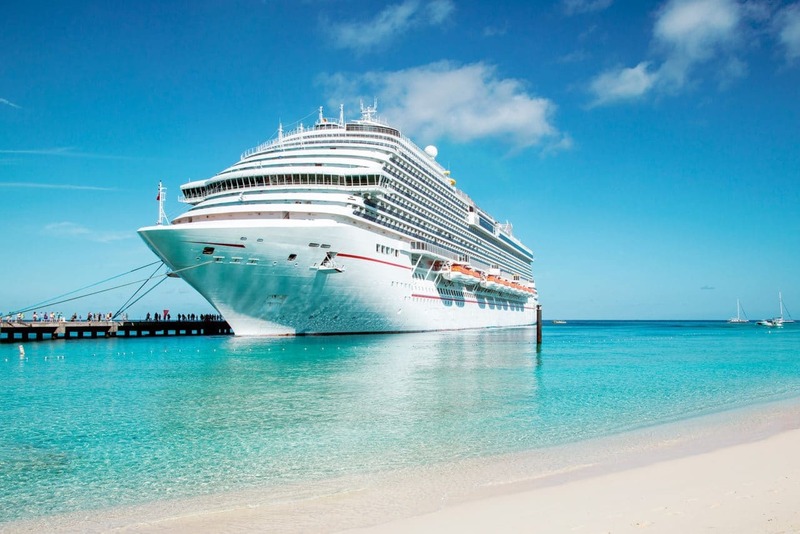 There are different types of positions and careers available like tour manager, ship entertainment, engineer, housekeeping, cooks, and more. My friend Earl made money while working on cruise ships for a few years, and saving money to travel. Like many of the jobs in this list, you can’t just jump into day trading on the stock market without any prior experience and expect to become rich. However, I’ve met quite a few people who make money traveling and day trading. It usually takes a few years, and losing some money, before it starts to pay off. A background in finance and spare cash to invest helps too. Just be wary, there are a lot of day trading scams out there too. Do your research and learn from someone who knows what they’re doing. 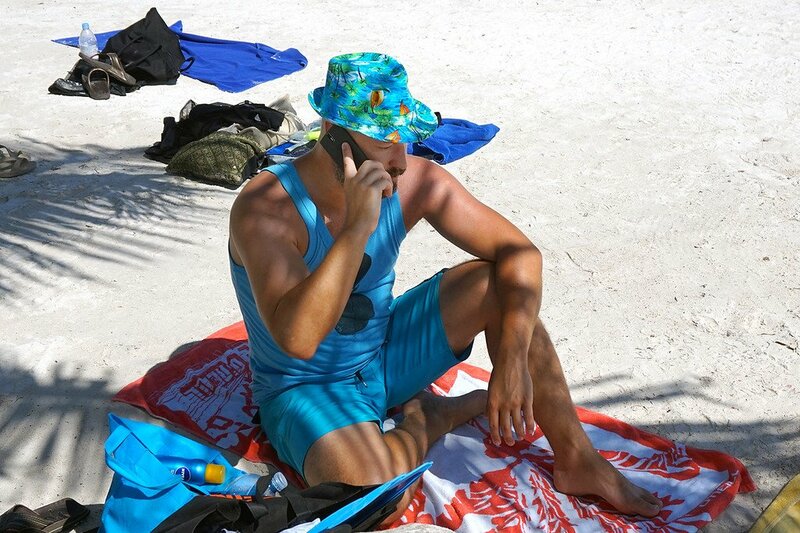 My buddy Marcello makes money day trading stocks while traveling. 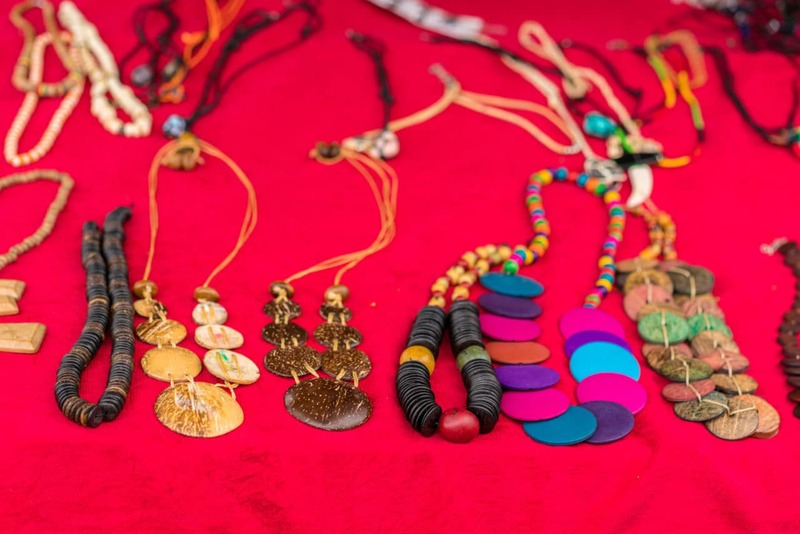 Jewelry is the most popular item to sell as a street vendor, but it could also be art, clothing, leather goods… anything where you can source materials locally in bulk to make a product yourself. Setting up as a vendor requires supplies, possibly meaning a long time in one location, but if you’re going to spend a season in one place it can be worth it. Popular locations with lots of tourist traffic work best. My friend Sorina sells leather accessories while traveling around Europe. 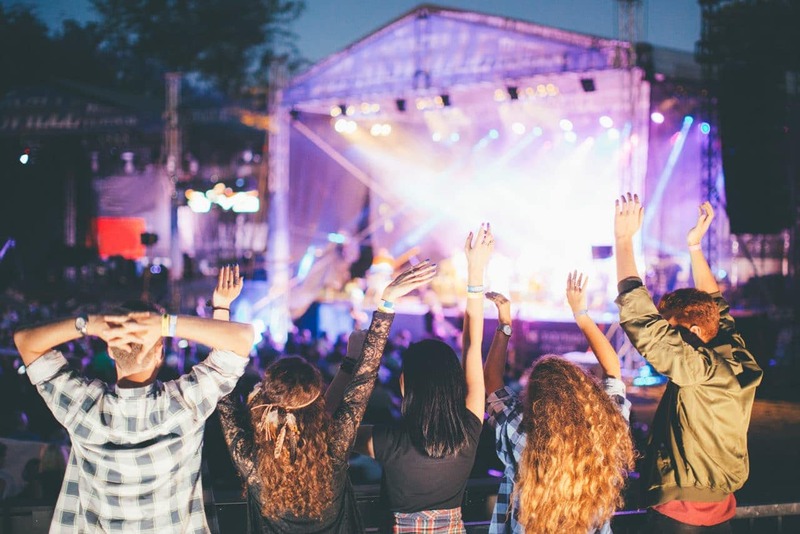 You don’t have to be a big name performer to work at festivals or events around the world. There are side-stage acts, installations, event staff, and food vendors too. Festivals always bring on lots of staff before, during and after the events. You can time southern hemisphere Australian and New Zealand festivals between Canadian, American and European summer circuits. Scuba diving is a sport that is enjoyed all around the world. From Fiji to Iceland! The scuba diving community travels frequently, hunting for the best dive sites. And scuba divers have money to spend. 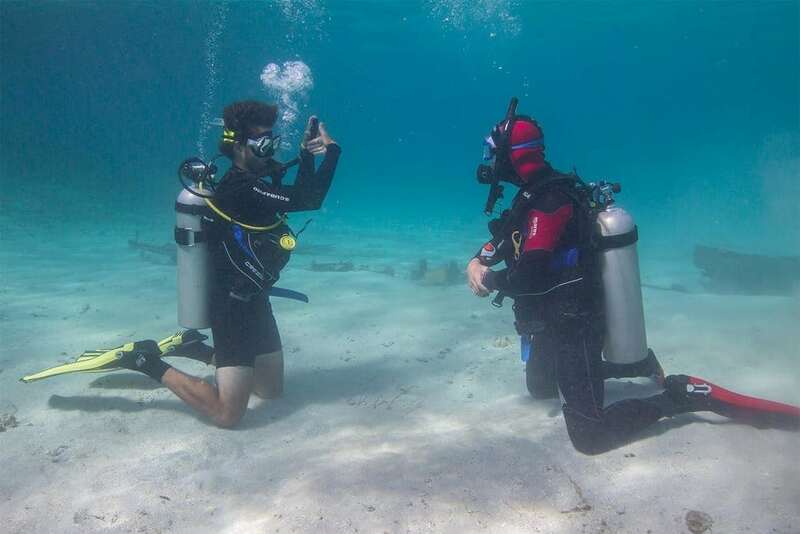 The training required to become a dive master can take a few weeks in beautiful places like Utila, Honduras or Koh Tao, Thailand while you get your certifications. Or, with more training become a Scuba Instructor, teaching people to become certified PADI divers. My friends Antonio & Amanda make money as scuba diving instructors. An au pair is a professional live-in babysitter or nanny hired by a family to help their kids learn a new language and do some household chores in exchange for room, board, and a weekly income. The job allows you to live in a foreign country, learn a new language, and experience the culture first-hand while making some money. Some countries pay more than others (the Middle East especially). My friend Ashley made money working as an au pair in France. Please Take your Seats for Take-off! The life of a flight attendant may seem glamorous. Constantly jetting around the world, partying it up in different cities, experiencing different cultures, 90% off airline tickets, hotel discounts, cheap rent, and employment in the clouds. The career training is tough, the hours are long, and all the moving around can get kinda lonely. However, for those with a case of wanderlust, it can help you travel the world for a while too. 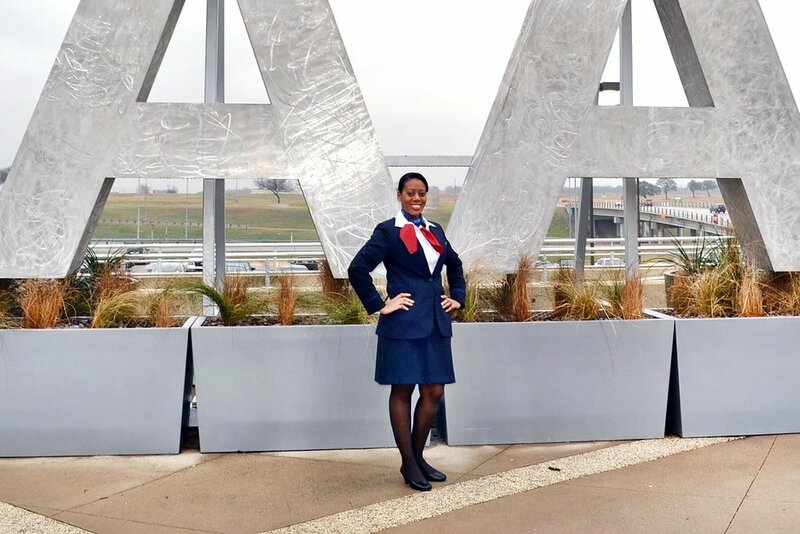 My friend Mia makes money traveling the world as a flight attendant. 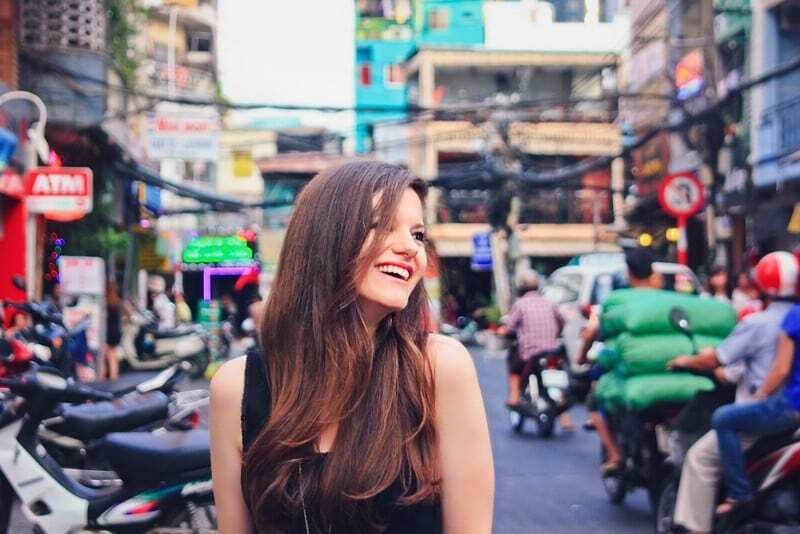 Working for the foreign service (aka diplomats) or an intergovernmental organization (IGO) is one position that allows you to experience life in a different part of the world. Most of these international government jobs are only open to people with university degrees and knowledge of foreign languages. Applications and tests for these types of positions can be found online. My wife Anna once worked abroad for the Polish embassy in London. Travel agents sell vacations to regular people who don’t want to deal with the logistics of planning their own trip. They often organize transportation, lodging, and activities, along with first-hand advice on destinations. You can either work for a large travel agency or work for yourself once you have experience. Travel agents are expected to know the destinations they are “selling” which means spending lots of time traveling! Often, travel agents get to travel for free on what’s called FAM (familiarization) trips, so they can share their own travel experiences with clients. Becoming a professional travel or adventure photographer selling your images from around the world is a dream job, but takes a lot of work too. You can upload photos in bulk to micro-stock sites or sell images to clients directly for use in magazines, books, brand campaigns, or websites. Running guided photography tours or selling online photography tutorials are additional ways to make money as a traveling photographer. If you build up your social media audience over time, you can start to get hired for paid “influencer” projects too. My friend Brendan earns money selling stock images from his travels. It has a few names and variations, but buying or manufacturing products overseas and selling through Amazon under your own brand is an increasingly common way to make money while traveling. Fulfillment By Amazon (FBA) means you don’t need an actual storefront location because inventory is stocked at Amazon’s network of fulfillment centers around the world. 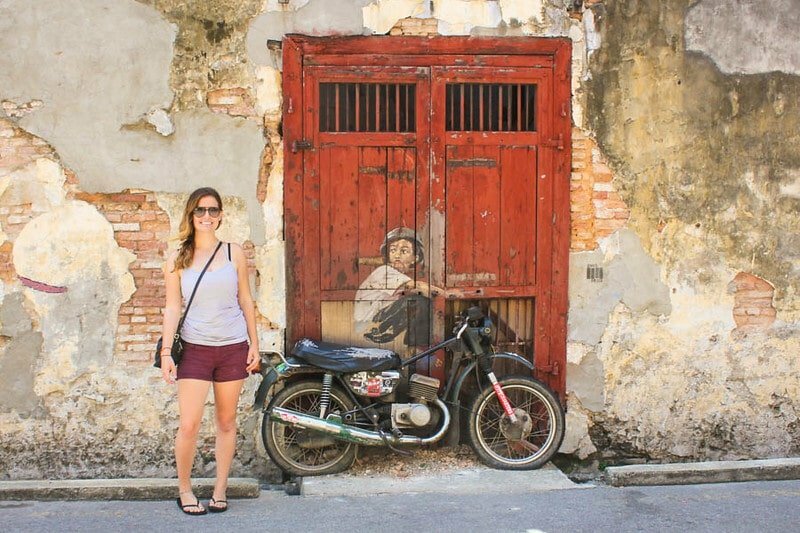 My friend Aileen makes money traveling & selling her own stuff on Amazon. 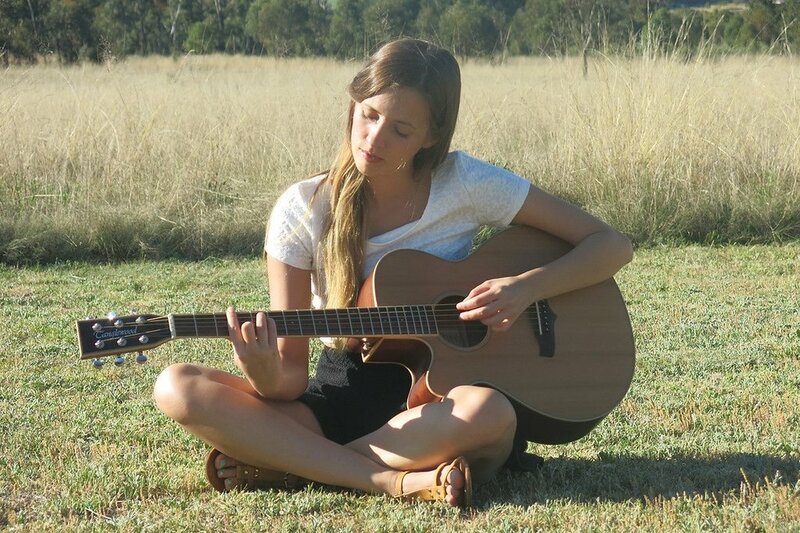 Job Ideas For Travelers: Busking! Also known as busking, use your best talents to make some money from tourists. Create an act, grab an instrument, pick a spot with lots of foot traffic, and drop a hat. Many cities require a permit for busking, so make sure to do your research first. Do you have any special talents? Acrobatics, painting, fortune telling, music, break dancing, henna art, it could be anything. You can turn your hobby into a job that allows you to travel. My friend Nadia earns money playing street music while she travels. I’m sure you’ve heard of AirBnB by now, the holiday apartment booking site that lets you stay in other people’s homes rather than hotels. Well, some enterprising individuals are renting out their flats while they travel, making a decent income. The key is automating the process so you don’t have to be there in person. This allows you to freedom to see the world! My friend Alyssa makes money renting her apartment on AirBnB. I’ve met many travelers around the world who work seasonally, spending part of the year earning money and then traveling for months in the off-season. The number of jobs in this category are countless. Construction, school teachers, commercial fishing, oil workers, electricians, ski resort staff, etc. These jobs depend on what skills you currently possess or are willing to learn. 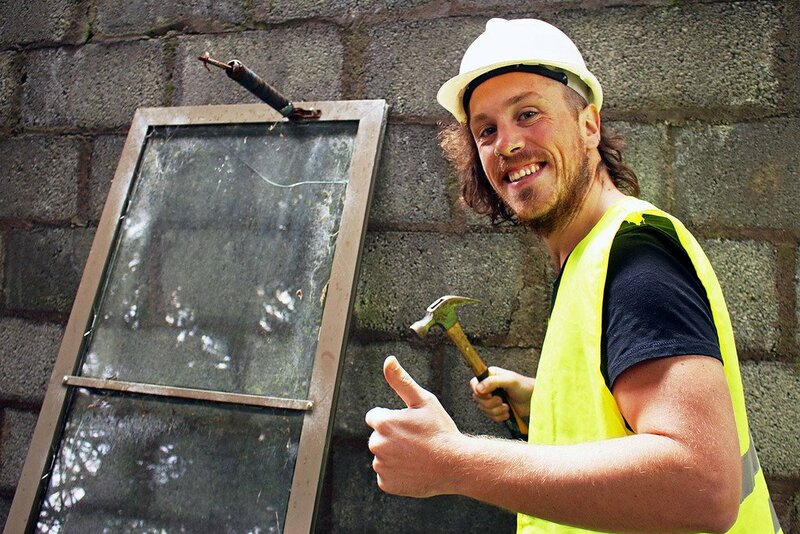 My buddy Brian has worked construction jobs while traveling. It almost sounds too good to be true. 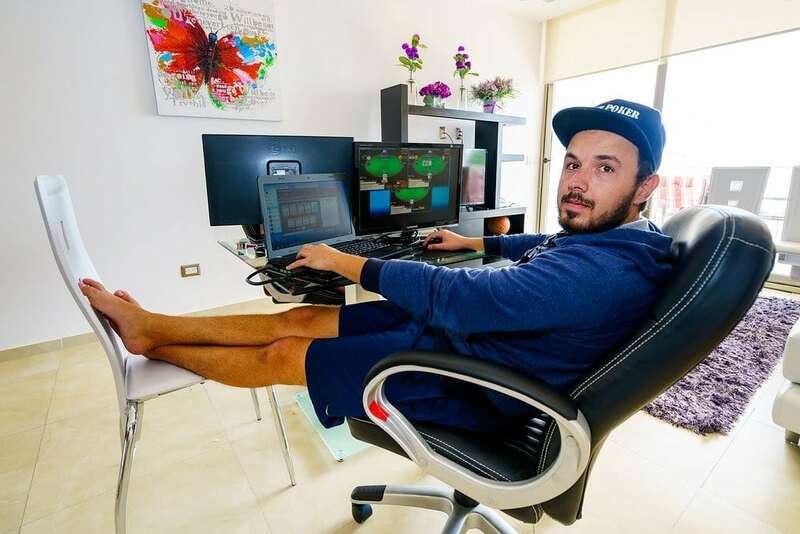 Playing poker for a living, online or at real tables, from anywhere in the world. But like anything else, it requires lots of hard work to make that lifestyle sustainable. You need to be good with numbers, possess the strong willpower to play for hours, keep your emotions in check, and be able to stay focused on repetitive tasks. There are whole communities of players who sometimes travel together this way. My buddy Konrad makes money playing online poker for a living. Want the experience of a lifetime helping others less fortunate than yourself? Try volunteering with the Peace Corps or a Non-Governmental Organization. Just keep in mind that volunteer work is a full-time job. While it makes your life rich with experiences, the money isn’t great. You’ll build confidence to handle any challenge — because the work itself is challenging. 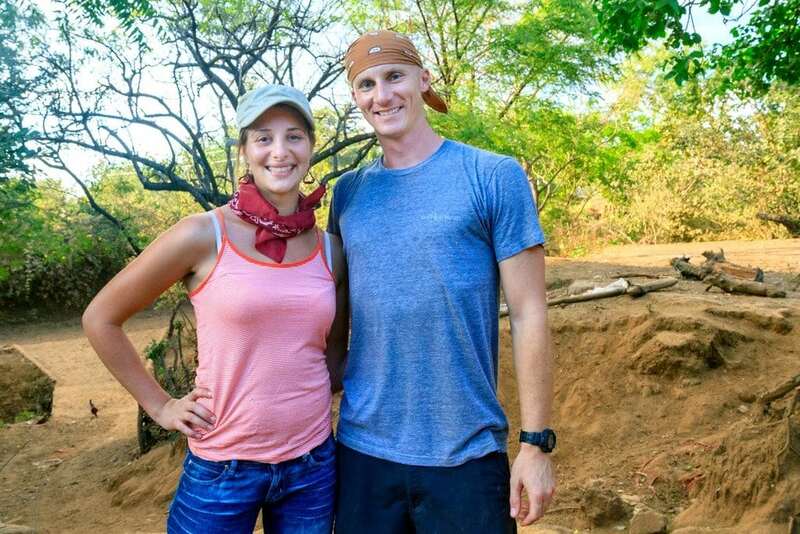 My friend Danielle worked as Peace Corps volunteer in Nicaragua. Again, not something you can just learn in a week. There is a reason people go to school and get a degree in marketing. However, if you have a business/marketing background, there is no reason why you can’t freelance this type of work from a hammock in Bali. In fact, it’s becoming much more common — I’ve met plenty of people helping authors or brands get their name out to a wider audience while traveling. Or, you can work in travel marketing itself — for national tourism boards or large travel brands like hotels, magazines, tour companies, etc. My friends Pete & Dalene run a travel marketing company. Getting paid to travel making videos is another dream job, and some people make a very good living with it. 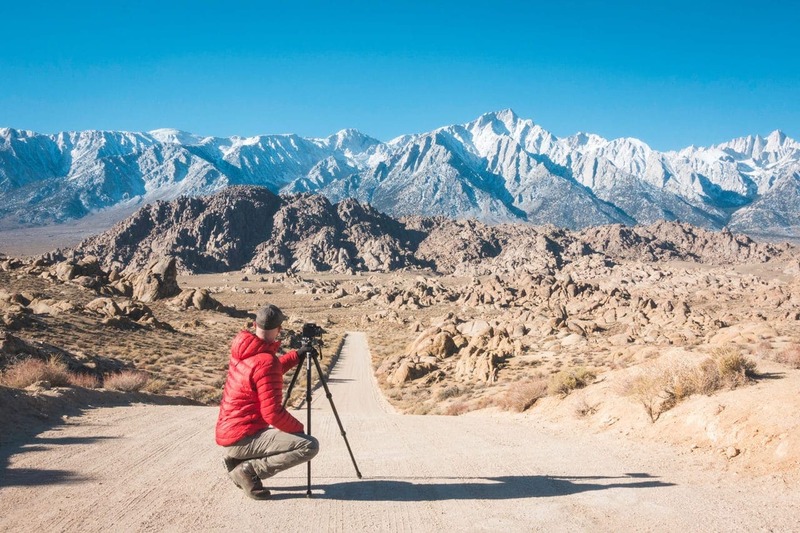 There are a few different paths too — shooting and selling stock footage, becoming a popular YouTuber, or producing highly polished marketing films for tourism boards & travel brands. A strong knowledge of video, editing, networking, and marketing is highly recommended for this type of work. And of course, this is a job that doesn’t absolutely require travel, but it certainly helps for creating amazing content. 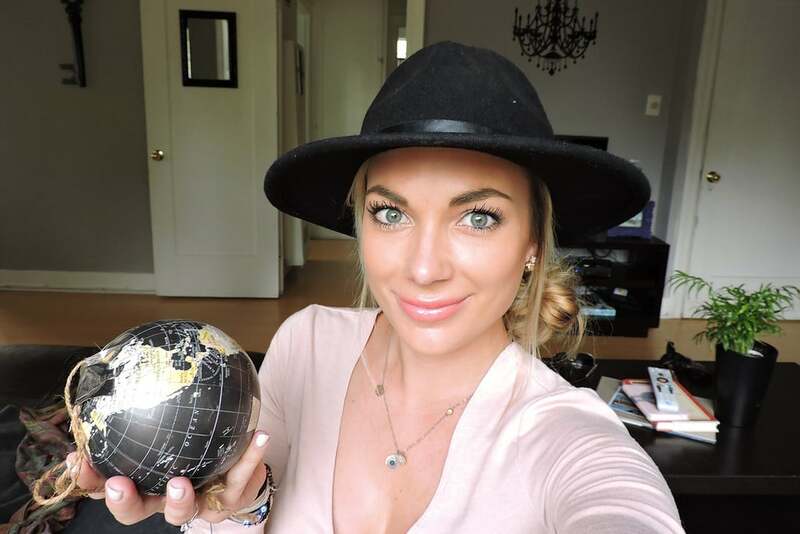 My friend Nadine earns income traveling as a professional YouTuber. To become a travel nurse, you must first get a degree as a registered nurse (RN) which takes 2-4 years. Once you have that, it’s possible to apply for temporary travel nursing jobs which can last up to 13 weeks. Depending on the assignment, sometimes these jobs include tax-free income, free housing, medical coverage, rental cars, and more. There are travel nursing staff agencies that specialize in helping you locate a job overseas too. My friend Rachel worked as a travel nurse for a while. If you already have the skills & training needed as a computer programmer, then transitioning your cubicle office job into a freelance position that allows you to work remotely would give you the freedom to travel. There are special freelance programming websites where you can bid on jobs, or you can try to launch a company to build your own products like iPhone apps or custom web applications. 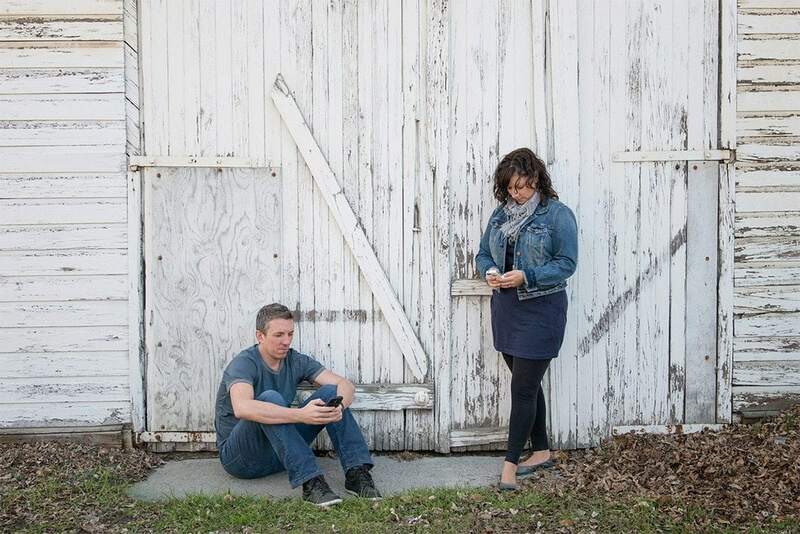 My friends Simon & Erin develop smartphone apps as they travel. With advancements in office technology and a desire to reduce employee costs, businesses are increasingly looking to hire virtual assistants who can work from home (or anywhere). There is little that personal assistants can’t do remotely these days. Social media scheduling, responding to customer inquiries, calendar management, and all sorts of other tasks can be taken care of by a competent virtual assistant. It’s a job that often allows you to work from anywhere in the world! My friend Katie travels & works as a virtual assistant. Are you an expert in your field? Working as a professional consultant for companies may give you the ticket to location independence. Consultants work on short-term projects, helping businesses grow by training staff how to do something better. For example, instructing a business how to use social media effectively, or how to become more environmentally friendly. Generally, they are paid to share their specialized expertise. My friend Dave travels and works as a consultant for oil companies. A working holiday visa is a special residence permit allowing younger travelers to legally work in foreign countries and supplement their travel funds. They are generally intended for people between the ages of 18 to 30, and requirements differ based on the country. Some popular destinations for working holidays include Australia, Canada, New Zealand, France, Ireland, and Singapore. Many GAP year students will get a working holiday visa to travel for a while before returning home and looking for a more permanent job. 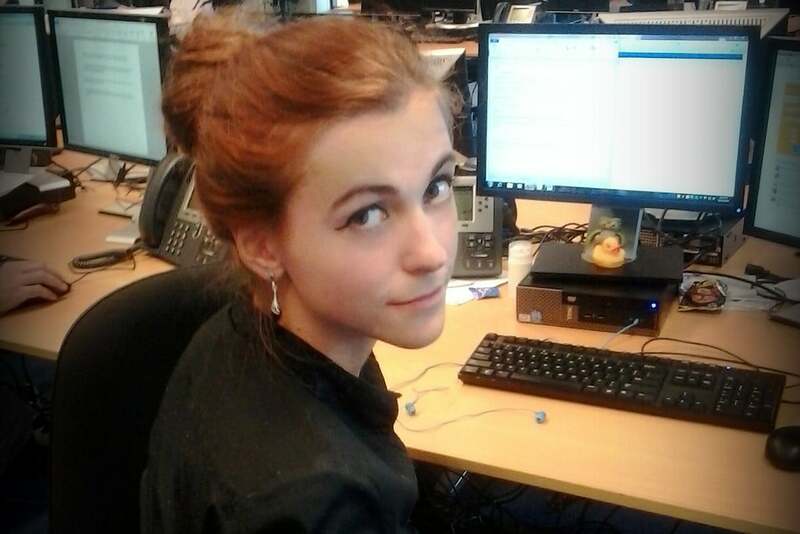 My friend Marta has lived in 3 different countries on working holiday visas. Depends on the type of job. 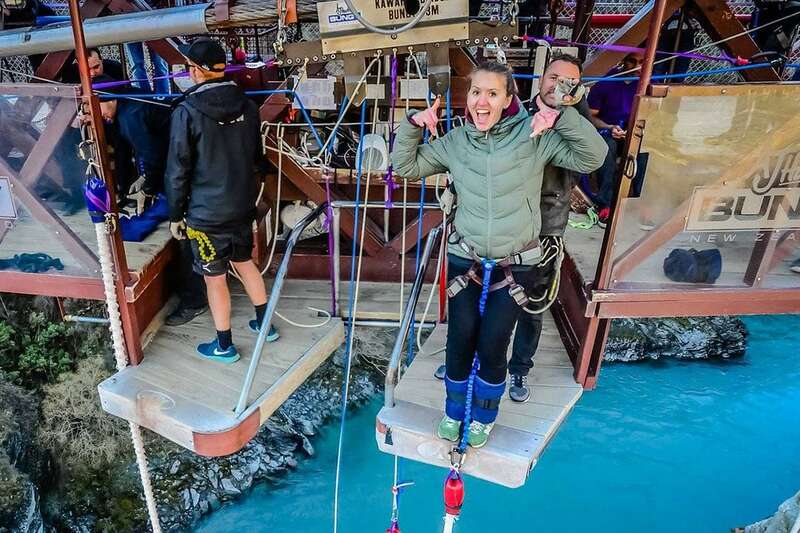 The truth is there are many ways to work while traveling the world, but many remote positions require some prior skills, a solid time commitment, or previous experience. Dream jobs often take years to materialize and include unimaginable effort & sacrifice that the average person just can’t understand until they experience that same journey for themselves. While I make a good living with my travel blog — it didn’t happen overnight. It’s the same for most of these other jealousy-inducing jobs. But I hope this article has demonstrated that there are plenty of people out there working hard and “living the dream” who manage to make money while traveling. It’s not impossible! Have any questions about travel jobs or earning money on the road? Any others I missed? Drop me a message in the comments below!